Where has the year gone? Just yesterday we were whining about the ‘Friday’ travesty of a song or doing our best Antoine Dodson impersonation with the ‘Bed Intruder’ song blaring in the background. But now…yes now we have new viral videos to revile and enjoy. 2012 was definitely a record-breaking year. ‘Gangnam Style’ by Psy rose to shatter records by garnering over 1 billion views. and a record number of people are now thoroughly annoyed by Carly Rae Jepsen’s ‘Call Me Maybe’ hit. Well at least I am. 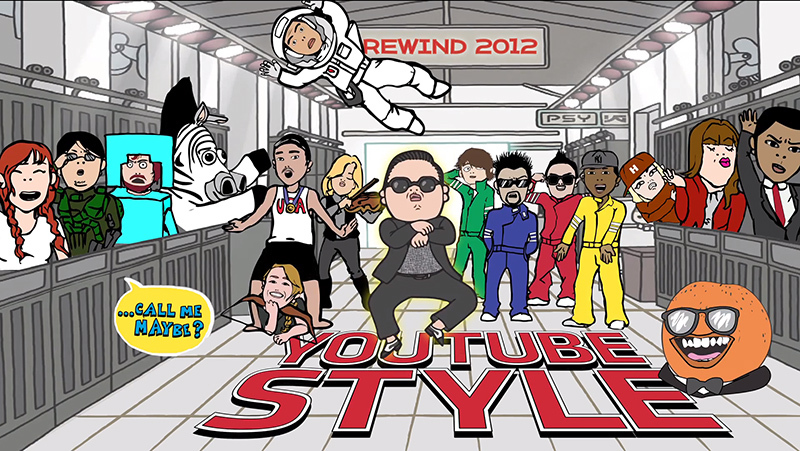 Anyway if you want to see what has been the topic of convo for many a YouTuber, then watch this year’s YouTube Rewind, but this time with a twist…YouTube Style!